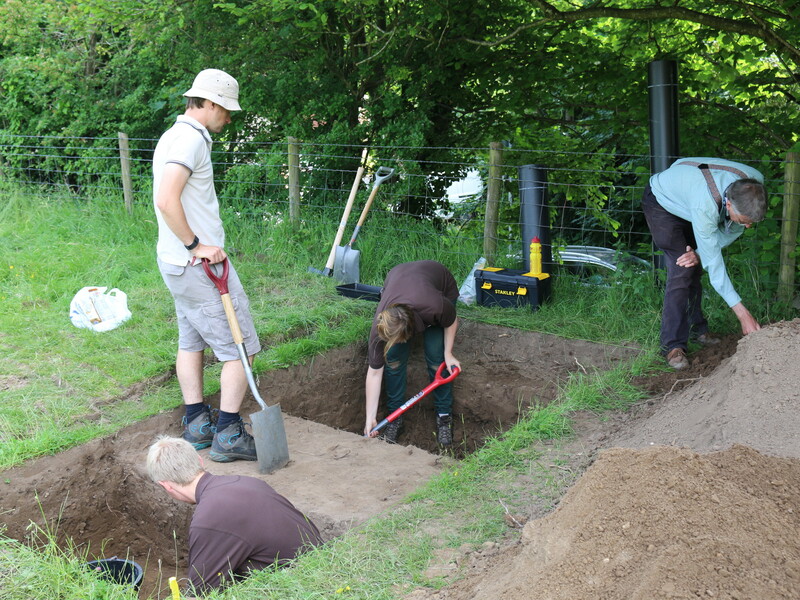 In 2016 the New Forest National Park Authority undertook a small scale excavation with volunteers in the proximity of Buckland Rings as part of an ongoing project to underground some electrical cables. The archaeological work resulted from a long-term wish by Hampshire County Council site land managers to underground electrical cables adjacent to the Buckland Rings Scheduled Monument to improve the landscape and visual setting of the monument. Initial archaeological observation work of trenches excavated to establish ground conditions in advance of using a mole plough to insert the cables indicated that the trench closest to the site boundary with the A337 highway to the east contained a developed soil containing fragments of medieval pottery. A small hand-excavated archaeological trench was excavated in June 2016 to recover a better sample of ceramics and to take soil samples. The ceramics were reported on by A D Russel; see Appendix 1. The soil samples were processed by volunteers as part of a training exercise through the New Forest ‘Our Past Our Future’ Heritage Lottery Funded Landscape Partnership Scheme. The work took place in the offices of the Southampton City Archaeological Unit under the present author’s supervision. The evidence indicates that the lower slopes of Buckland Rings were taken into cultivation probably by the 11th century. Recent geophysical work has confirmed the presence of field boundaries in this area; see discussion below.